Angie Lisle: Look what arrived. . .
Look what arrived. . . 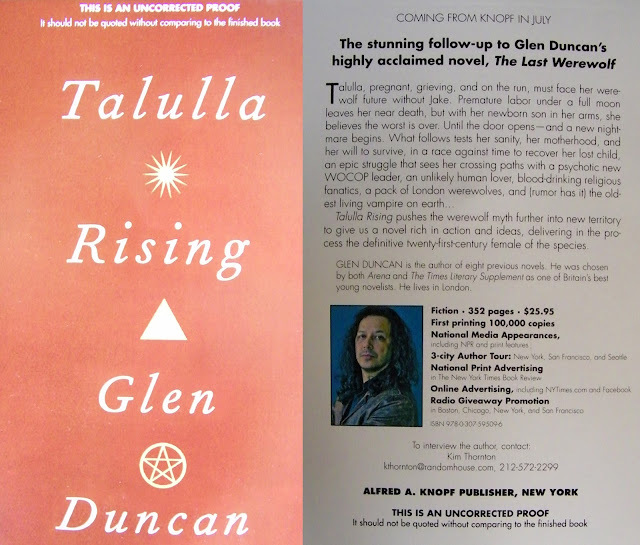 The uncorrected proof copy of Glen Duncan's new book, Talulla Rising (the sequel to The Last Werewolf), that I received from GoodReads First Reads! I can't wait to start this book! Talulla Rising is available for pre-order at both B&N and Amazon; it will be released on June 26!